The following completed assignments provide a flavour of our recent activities for Landlord and Occupier clients. Sale of two shop units, one let to Mosko hair, the other vacant, on behalf of Greyharbour Limited (in administration) per RSM to clients of Lambert Innes. Acting on behalf of private Landlord clients, a new letting to E Cigarette Outlet (UK) Limited. Joint agent: J&E Shepherd, Dumfries. Acquisition of drive thru premises for Starbucks on the front of a retail park, developed by 4th Developments, anchored by Aldi and Home bargains. Acquisition of former RBS branch on behalf of Co-op Food from clients of Gunn Property Consultants/CBRE. Acquisition of two pop up shops, to replace their former Sauchiehall St store, ensuring continuity of trade for Bo Concept, whilst a securing new long term City Centre shop. Lease extensions and regears with tenants ( Aggregate Industries and Cryoservice) of industrial facilities ( an asphalt plant and industrial gases site), prior to investment sale to clients of Ewan Mackay Property Consultants. Acquisition of 1 acre plot on a ground leasehold basis for Go Americano Limited for development of Starbucks drive thru. Letting to Greggs on behalf of Landlords, Pizza Cake (Properties) Limited. Acquisition of new lease on behalf of Ramsdens Financial Limited. Acquisition of industrial unit for back of house storage for Bo Concept. Sale of investment property, let to Pizza Hut, on behalf of private landlords to LCP. Lease renewal to Marie Curie on behalf of Greyharbour Limited (in administration), managed by RSM NI. Letting of vacant tenement shop unit for private owners to ASA t/a Minuteman Press. Leasehold disposal on behalf of Travelodge of the former Little Chef, adjoining the hotel, to Starbucks (EuroGarages as franchisee). Joint Agent: Sandy Cameron & Co.
Acquisition of lease over a stand alone former shop unit, reconfigured to provide a drive thru for Starbucks. Re-gearing of lease of No. 7, let to Mosko Hair and subsequent sale of part vacant ( shop at No. 5), part income producing investment property to clients of Lambert Innes. Work undertaken for Greyharbour Limited, in administration, managed by RSM NI. Sale of former British Home Stores building, held part leasehold, part heritable title on behalf of Danish overseas owners. Joint agents: Molyneux Rose. Joint letting mandate with CWPC Livingston, resulting in lettings to Adept Tattooists and two local traders, boosting income and enabling a successful investment sale. 0.53 acre site sold for Marston's to Pizza Cake (Properties) Limited for 3 unit development to be let to Domino's and 2 others. Acquisition of lock up shop unit on behalf of Co-Op food for store extension. Ongoing long term consultancy to Mitchell Grids. Initially, part of masterplanned area, including adjoining former Hoover factory land, to provide 100,000 sq ft Sainsbury’s foodstore. Now being redesigned for alternative uses. Lease re-gear to Brighthouse, providing an additional 5 years term certain, to 2023. Letting of former Little Chef premises, for Travelodge, to Eurogarages t/a Starbucks. Joint agency with Sandy Cameron & Co.
Acquisition of shop investment, let to Emporium Vapour Limited, for private clients. June ’14 rent review for Rox. Settled at modest base rent uplift (+2.3% or £2,700 pa) to £118,500 pa. First uplift since 2004. 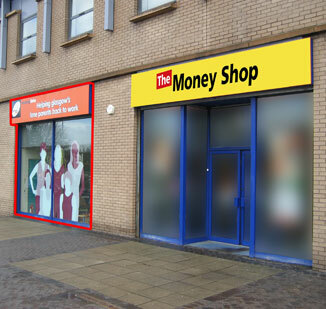 Rent review for Landlords of The Money Shop premises within Regent House. Letting of former Poundstretcher premises to Poundworld at a commencing rent of £45,000 pa (rising to £47,500 pa after 2 years) on a 10 year lease from June ’15, subject to a tenant’s break in year 6. Letting of shell premises on behalf of Local Retail Fund, following securing three pre-lets to Barnardo’s, Subway and local hot food trader. Letting for Landlords, Lightbody Ventures, to Cote restaurant at £85,000 pa. Rent review for Rox, effective August 14, to a revised rent of £143,800 pa.
Consultancy advice to Mellicks solicitors enabling dispute with City Council to be resolved. Rent review for tenants, Ramsdens Financial, at nil uplift. Acquisition by way of pre-let of drive thru Starbucks. Letting on behalf of Landlords to Healthy Smoker Limited on 3 year lease. Acquisition for Waitrose of leasehold store of 36,500 sq ft from Town Centre Securities. Opened for trade 11th June 2015. Farmfoods unit lease regear on behalf of Landlords, AGE Limited. Letting of small shop unit to local solicitors. Subletting for Ramsdens Financial Limited to local trader. Sale of vacant, two shop unit investment property, let to HSS, to local convenience store operator for part owner occupation, part letting. Relocation for Mountain Spirit, acquiring Rohan's lease at £24,000 pa with 6 months rent free. Acquisition of new 36,500 sq ft store, with petrol filling station and 190 car spaces. Opened October 24th, 2013. Rent review for Rox, effective October 2012, to £68,000 pa. Letting to Yvonne Taylor t/a Indulgence Home and Gifts at £14,000 pa for Greyharbour Limited. Letting to Ace Tailoring and Alterations at a rent rising to £17,000 pa at end year 2, on 10 year FRI lease for West Coldstream Properties. 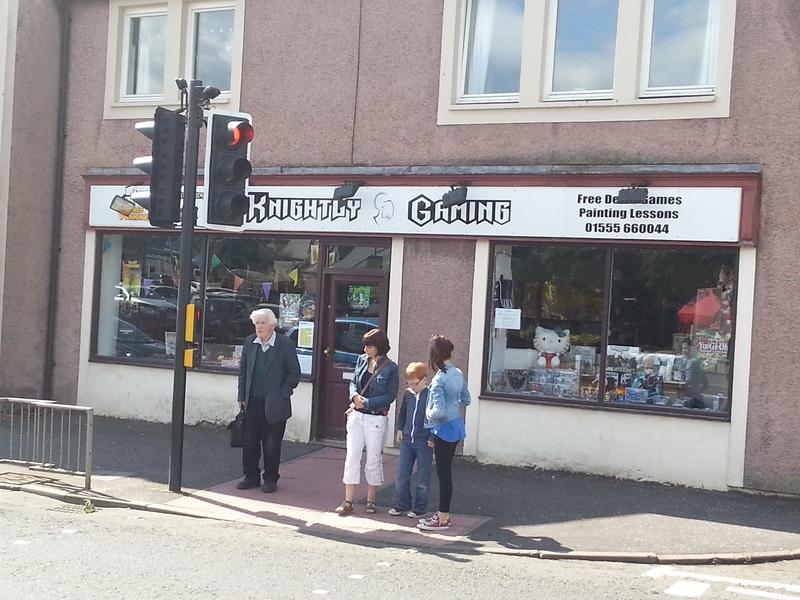 Letting to Knightly Gaming at £10,000 pa for Greyharbour Limited. Acquisition for Rox of a new 15 year lease from the City of Edinburgh Council at a commencing rental of £180,000 PA.
Purchase for Starbucks from an Oxford College, managed by Olim, for whom Reith Lambert acted. Various sites for drive-thru stores in the pipeline, to support expansion plans throughout Scotland being put in place by my franchisee client. Rent review on behalf of the landlord, Castlearchdale Caravan Park Limited, effective October 2010, to a revised rent of £12,000 PA, a 14% uplift. Advice to Dr's McLean and Pugh enabling the sale of the Doctors Surgery. Sale on behalf of Newcastle Building Society at £47,500, by way of auction. Option agreed on behalf of adjoining landowner with Forrest Group, working with Sainsbury's and Dawn Group, to produce a comprehensive redevelopment of the former Hoover factory site and industrial land between Somervell St and Bridge Street. Proposed 98,000 sq ft foodstore with 500 car spaces. Acquisition for Ramsdens from New Land Assets of re-modelled ground floor unit on a new 10 year lease at £35,000 pa.
Acquisition of a Pizza Hut delivery unit on pre-let from the Landlords of a split within the former Bourbon Street Pub. New Lease at £18,500 PA on 15 year lease, subject to tenants break at year 10, with an option to extend by 5 years at lease end. Letting to the Money Shop, of a split of the former Working Links office, on a new 10 year lease at £22,500 PA. Rent review, effective October 2010, for Landlords of shop unit let to Aulds. Introduction of investment opportunity comprising 5 shops to Aberdeen based clients of Gunn Property Consultants. Letting of 329 sq ft shop unit on behalf of Greyharbour Limited to private individual, trading as Kiss & Make Up. Letting on behalf of landlords, WJ Law Group, of 1,255 sq ft shop unit to Salvation Army. Acquisition of a new 36,500 sq ft store from Gleniffer Estates, the first new build store for Waitrose in Scotland. The store opened in May 2011, providing 25,000 sq ft net selling area, benefits from 180 car spaces and is easily accessed via Jct 4 of the M77 motorway. Ditchfield Property have acquired both West of Scotland stores and continues to advise on roll-out of new Scottish stores. Lease renewal to former subtenant, Cheque Centres, at £12,500 pa, on behalf of private Irish Landlord. Sale of freehold investment interest, let to Costa Coffee and producing £39,000 pa, subject to outstanding rent review, for Treetops Limited at a Net Initial Yield of 5.67%. Lease restructure with Brighthouse, extending the term by 5 years, at a rent rising to £47,500 PA. Rent review of shop premises used as a tattooist, Tribe 2, resulting in a 25% uplift to £12,500 pa, effective June 2010. Letting on A.G.E. 's behalf to Alworths of former Ethel Austin premises of 6,672 sq ft on a 10 year lease, subject to a break after 5 years, at £45,000 pa, with a minimal rent free period. Leasehold acquisitions for Ramsdens Financial Limited of two shop units, both on 10 year leases with tenant's option to break at year 5. Elgin at a commencing rental of £12,000 pa, rising to £16,000 pa. Peterhead at a commencing rental of £13,500 pa.
Leasehold shop acquisition, providing 1,250 sq ft, for Kitchens International on a new 15 year lease, subject to options to break at years 5 and 10, at a commencing rental of £27,500 pa.
On behalf of the Landlords, Exchange Court Properties Limited, the letting of a ground and basement shop of 3,878 sq ft to Rossi Menswear Limited on a 10 year FRI lease, at a rent rising to £65,000 pa at year 3. Acquisition of new 20 year lease for Waitrose Limited of former Somerfield store (24,679 sq ft ground floor, 6,600 sq ft basement) from Town Centre Securities. Secured 18 months in advance of the Somerfield lease end, the store attracted interest from M&S and Tesco. Adjoining servitude rights secured from Hilton to enable a larger turning circle to be created for delivery vehicles. The store was the first in Scotland to be acquired on a new lease basis, was the first in the West of Scotland and trades ahead of sales targets in this highly desirable West End Location. On behalf of TSO, the surrender of leasehold interest at £96,000 pa to Joint Properties Limited, subject to the back to back re-letting of the premises to Nando's. Acquisition of freehold interests (from HBG/BAM) in three jewellery stores on behalf of sitting tenants, Mitchell Diamonds, Rox and Lewis Grant at £2.8m, together with option to acquire Landlord's interests in McGowan's the jewellers. A complex acquisition involving the surrender of rear areas to enable HBG/BAM to redevelop the Buchanan Street elements of their holding, our clients benefitted from a discounted purchase price and the acquisition of the substantial first floor and basement accomodation, held for future expansion. Acquisition of new lease from Hammerson of a new jewellery store of 1,150 sq ft for Rox for their first store outwith Glasgow. The lease was taken just ahead of scheme opening in late October 2009 at a commencing rental of £110,000 pa on a new 15 year lease, with a tenant's option to break at year 10, with 12 months rent free and a substantial capital contribution towards the fit out. Rent review for Rox, settled at nil uplift. Disposal of lease on behalf of Nic Gillespie Limited to Landlords, Ferbow Properties and the simultaneous reletting to Harvey & Thompson Ltd, as a relocation from semi basement premises nearby. New 15 year lease at £26,500 pa, subject to tenant's option to break at year 10, with 6 months rent free. Letting of 655 sq ft shop unit for Deshen Property plc to Luxury Holidays UK Limited at £10,000 pa on new 10 year lease, subject to tenant's break option at year 5 and 6 months rent free, spread over the first 2 years. Letting of 720 sq ft shop unit on D2 Enterprises Limited to No Limits Limited t/a Anjali's Boutique at a commencing rental of £11,000 pa on new 10 year lease, subject to break options after 12 months and 5 years. Lease extension and regear for Ramsdens, to January 2024, subject to tenant's break, at a revised rent of £21,000 pa, subject to 12 months rent free. Acquisition of The Bridal Studio Limited's first trading outlet at £35,000 pa, a saving off £7,500 pa on the quoting rent from a private client of Spiers Gumley. The City Centre shop unit, close to tinderbox, Dallas&Dallas and the Italian Centre, provides 1,286 sq ft at ground floor and 2,333 sq ft at basement and was secured on a 10 year FRI lease, subject to a Schedule of Condition, with a tenant's break at year 5.